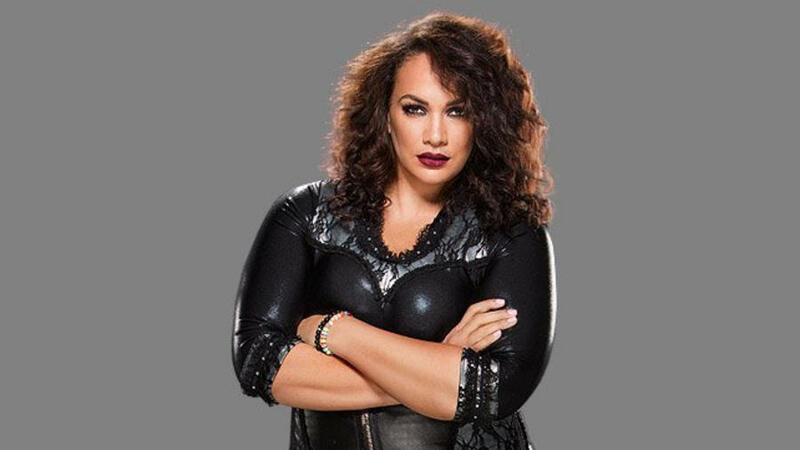 Nia Jax is unquestionably one of WWE’s most exciting new performers. While she still has improvements that need to be made both in the ring and on the mic, she has come a long way since her debut in NXT in 2014. Her recent program with Sasha Banks demonstrated just how far Nia has come in exhibiting personality in the ring. Her taunts and cockiness mixed with overwhelming strength and surprising agility for a star of her stature announced to the WWE Universe she belongs in the women’s main event picture. But there is a disturbing quality to how WWE packages Nia Jax that raises questions about what might be going on behind the scenes. Quite simply, Nia is the only star on the roster, who dresses like she’s trying to sweat off 30 pounds in the week before a big fight every time she steps into a wrestling ring. Go down the list of WWE’s physically larger performers. Big Show — wrestling singlet; Rusev — bare chested, tight shorts; Mark Henry — another singlet; Braun Strowman — tank top and pants. Over the years, WWE has welcomed the late, great 400-plus-pounder John Tenta in what was essentially a giant one-piece woman’s bathing suit. They had Yokozuna strutting around without a shirt. They unleashed Bastion Booger on the masses. None of this is being said to argue that Nia Jax should be paraded around in skimpy or provocative attire. But what would be the problem in allowing her to dress similar to the other women’s performers rather than the head-to-toe covering that plays like horrible old-fashioned body shaming run amok? If it seems like this is blaming WWE for the oppressive gear Nia Jax wears every night, allow for a brief moment to pump the brakes on that front. While there is precedent for WWE handling social awareness in less than enlightened ways — anyone remember the “Silverback” gimmick the company tried putting on Henry or virtually every other portrayal of an African-American wrestler over the years (detailed here by Vice Sports? — it is entirely possible the ring garb decisions are on Nia. But if so, ask yourself why that is. As a company that has been woefully behind on social awareness for decades, WWE can hardly be predicted the harbinger of change. Given both the macro and micro environments, it is no wonder a woman like Nia Jax — an atypical beauty but a beauty nonetheless — would feel timid about wrestling in gear that looks like it belongs anywhere else but a wrestling ring. WWE of today is trying to step out of its shadowy past and present a progressive company to the public. At least that’s what it says. They still haven’t quite pulled the trigger on respectful portrayals of LGBTQ wrestlers. That legacy is still mired in past portrayals like Adrian Adonis or the current Patrick Clark. While Stamford is still thinking about what to do with that, they could make the most of an issue that is right there in front of them with Nia Jax — body shaming. Give the girl some encouragement to get out of the proverbial turtleneck and wear something more appropriate for competition. She deserves such an opportunity as do the company’s female fan base who may not have the magazine-demanded measurements but are still beautiful inside and out. Nia Jax’s debut attire isn’t very flattering imo. But what about you, readers? Do you think body shaming — company-wide or societal — plays a role in the ring attire of Nia Jax? Sound off in the comments section below.